Rabbi Menachem Leibtag, an internationally acclaimed bible scholar and pioneer of Jewish Education on the internet, is well known in the Jewish community for his essays on the weekly Bible portion. His vibrant thematic-analytical approach blends the methods of modern academic scholarship with traditional Jewish approaches to the Biblical text. He is best known for his ability to teach students how to study rather than simply read Biblical passages. As his essays focus on meta-themes in the Bible, his readership has expanded to students of the Bible from all religions and walks of life. 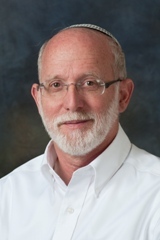 In Israel, Rabbi Leibtag teaches at Yeshivat Har Etzion, Yeshivat Shaalavim, Midreshet Lindenbaum, and at Yeshiva University's Gruss Center. He also routinely lectures around the globe, primarily as a Scholar in Residence in communities in North America; and is a regular guest lecturer for students at universities such as Columbia, Harvard, Princeton, NYU, Penn, and Brandeis.